Kick start your pathway to a career in JAZZ MUSIC, with three days of workshops on improvisation and ensemble playing, run by WAAPA’s internationally reknown lecturers. Students will learn how to arrange songs, play improvised solos and learn the ins and outs of small jazz ensemble playing, culminating in a concert on the final day. Register now to secure your place in this exclusive school which promises to be both fun and educational! Congratulations to Helen Matthews, officially inducted to WAM’s 2015 Hall of Fame at the WA Music Awards ceremony on Thursday 5 November! 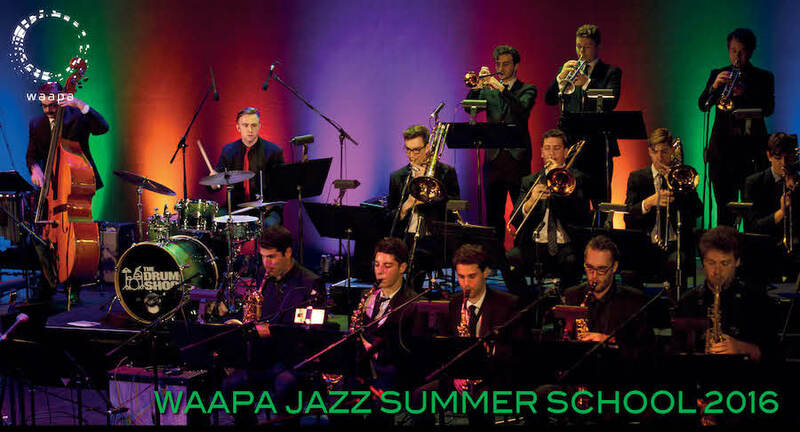 Recognised as one of the strongest jazz courses in the southern hemisphere, the WAAPA Jazz Performance major produces many nationally and internationally renowned jazz musicians. To apply for the forthcoming November auditions, visit www.waapa.ecu.edu.au/courses-and-admissions/our-courses/disciplines/jazz-performance. Congratulations to Mace Francis, winner of the APRA AMCOS Jazz Work of the Year for his work titled Music for Average Photography performed by MFO (Mace Francis Orchestra). For more details about the award, visit APRA AMCOS. 1 October 2015 7:30pm, The Astor Lounge, 659 Beaufort St, Mt Lawley. Congratulations to Tal Cohen, 2015 Freedman Jazz Fellow! The Fellowship was announced after the finalists’ concert at The Studio, Sydney Opera House on Monday 20 July. Tal performed with Jamie Oehlers (Saxophone), Cameron Undy (Bass) and Tim Firth (Drums). Tal’s award includes $15,000 cash prize and 3 days studio recording time with ABCJazz. 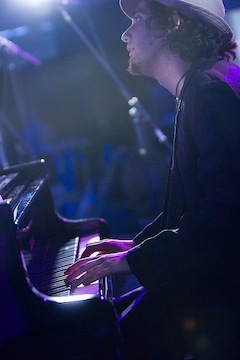 Check out ABCJazz’s Facebook page with some great video and photo highlights of the concert. For highlights and coverage, visit the ABCJazz and The Music Trust websites. Mace Francis and Daniel Susnjar have been announced finalists for the Jazz Work of the Year category of the 2015 Art Music Awards. Presented by APRA AMCOS and the Australian Music Centre, the annual Awards recognise achievement in the composition, performance, education and presentation of Australian art music. Mace Francis has been selected for his composition titled Music for Average Photography, performed by the Mace Francis Orchestra (MFO). Daniel Susnjar has been selected for his composition titled Pius Bartosik, performed by Daniel Susnjar Afro-Peruvian jazz group. For more details about all the finalists and their works, visit the APRA AMCOS website. The 2015 Art Music Awards will be held on Tuesday 11 August at the City Recital Hall, Sydney. WA’s Tal Cohen is one of four finalists presenting a set of music at the Sydney Opera House on Monday 20 July for the prestigious Freedman Jazz Fellowship. The Annual Freedman Jazz Fellowship, held by The Music Trust, is designed to assist top young Australian jazz musicians to further their career. Nominees are selected by invited distinguished musicians from each state. To be nominated is an honour in its own right. WA had two nominees in Tal Cohen and Daniel Susnjar. See the full list of 2015 nominees. ABCJazz will be recording the concert for a later broadcast. Follow ABCJazz coverage, including photos, interviews and videos. See the full list of artists on stage for the finalists concert (including WA’s Jamie Oehlers and Ben Vanderwal). For more information about the Freedman Fellowships, visit the Music Trust website. Congratulations to all the Australian Jazz Bell Award winners for 2015! Special congratulations to Western Australian winner Daniel Susnjar (Best Australian Modern Jazz Album AND Best Australian Jazz Song of the Year) and WAAPA graduate Sarah McKenzie (Best Australian Jazz Vocal Album). Extra special congratulations to Graeme Lyall who was inducted to the Hall of Fame. 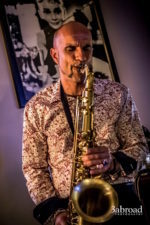 Graeme spent a number of years here in the west teaching at WAAPA and as artistic director of WAYJO, and he has had an enormous positive influence on many young Western Australian jazz musicians. For more details, visit the Australian Jazz Bell Awards website. 2015 Jazz Camp places filling fast! Visit the Jazz Camp website for online registrations. The centerpiece of the JazzNOW! program, Jazz Camp is tailored towards students aged 11-18 and runs from Monday July 6 to Friday July 10 at WAAPA in Mount Lawley. Jazz Camp consists of a series of clinics, master classes, performances and jam sessions delivered by some of Australia’s finest jazz performers and educators. Students will get the chance to perform together in small and large ensembles, improve their technique on their chosen instrument, learn about and experiment with jazz improvisation as well as meet other young aspiring jazz musicians from metropolitan and regional schools across WA. Places are limited with only 50 spots available for students. JAZZWA and JazzNOW! would like to acknowledge and thank the Western Australian Academy of Performing Arts (WAAPA) as a key sponsor of the JazzNOW! Jazz Camp.